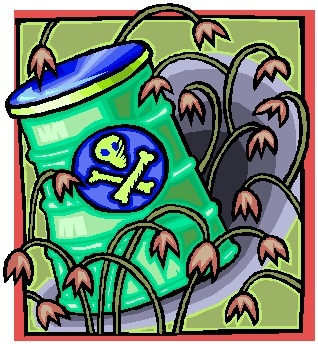 Just a reminder to dispose of your Hazardous Waste appropriately. The City of Rancho Cucamonga helps with it’s free collection facility located at 12158 Base Line Road – between Rochester Avenue and Day Creek Boulevard. They are open, weather permitting, the 1st and 3rd Saturday of each month from 8am to noon. This is for mor e than just paint and fluids. Aerosol Cans, Computer Components, TVs, Fluorescent Bulbs, Batteries, Medications and much more check the link above. Fluorescent bulbs and tubes have mercury in them and with more and more people using them they can not go to the landfill and don’t flush those expired medications everything just ends up in the water system and polluting our sea. Rancho Cucamonga makes it easy use this free service even if it is just for a couple of small batteries. Remember a lot of small things all add up to a big problem, or if everyone does their part we will not have a problem. Thank you very much for this helpful and informative post. I just want to share that the Household Hazardous Waste Facility at Base Line Rd. is now permanently closed, but the new one is now open at 8794 Lion Street between Hellman and Vineyard. It is open on Saturdays from 8:00 A.M. until Noon, except for select holiday weekends. Holiday closure information can be found at http://www.cityofrc.us/cityhall/engineering/env/hhwfacility.asp or calling the Environmental Programs Info Line at 909-919-2635.